We understand the importance of staying connected wherever you are. Whether you’re zooming around town or stationed in the middle of nowhere, roaming from network to network should not equate to downtime and more downtime. Which is why we believe in equipping our customers with best-in-class cellular routers to battle spotty coverage. Comprehensive 3G/4G LTE USB modem support. Embedded SIM slots. 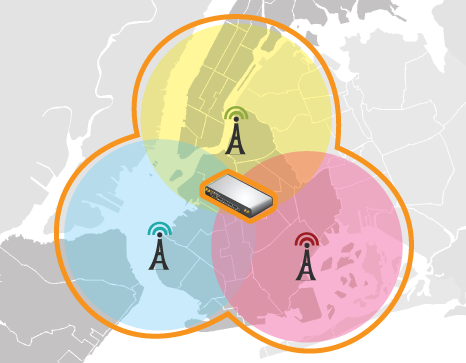 Wi-Fi-powered WANs. Wherever you go, whatever you do, our MAX Cellular Routers have you covered. Speed & Reliability. Over Any Connection. Of course, none of that means squat if your mission-critical connections disconnect when transitioning from one link to the next. So we go the extra mile and insist that our customers are protected by packet-level seamless failover and bandwidth bonding across all cellular connections. No more re-establishing connections. No more skipped video frames. And no more waiting on file transfers. Simply put, your connection is unbreakable. With MAX cellular routers, you can stream video and quickly transfer large files in remote areas with poor connectivity. SpeedFusion technology makes this possible by bonding the bandwidth of multiple cellular services. 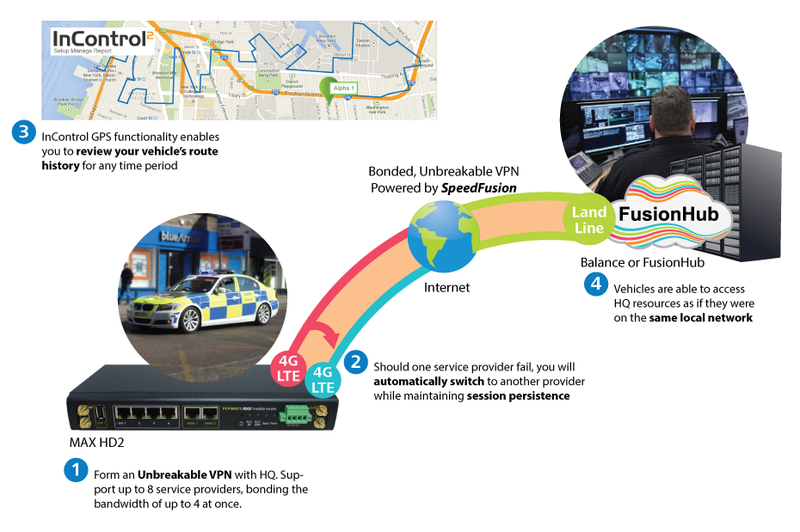 In addition to 3G/4G LTE connections, you can also add VSAT and land lines into your SpeedFusion tunnel. Combine the cellular reception of several service providers. If one provider should fail, others will take its place without any interruptions to your connections. InControl enables you to track the movements of your entire fleet on a single comprehensive screen. This entry was tagged 3G/4G, bonding, cellular, deployments, High-Bandwidth, Internet, LTE, modem, speed, SpeedFusion, USB. Bookmark the permalink.